Beaches, mountains and a sophisticated medieval city. Sounds idyllic, right? It is – welcome to the Spanish island of Mallorca! The island is so diverse, however, that staying only in one place will limit what you can experience. And on a first visit especially, you want to try and take in most of the island. 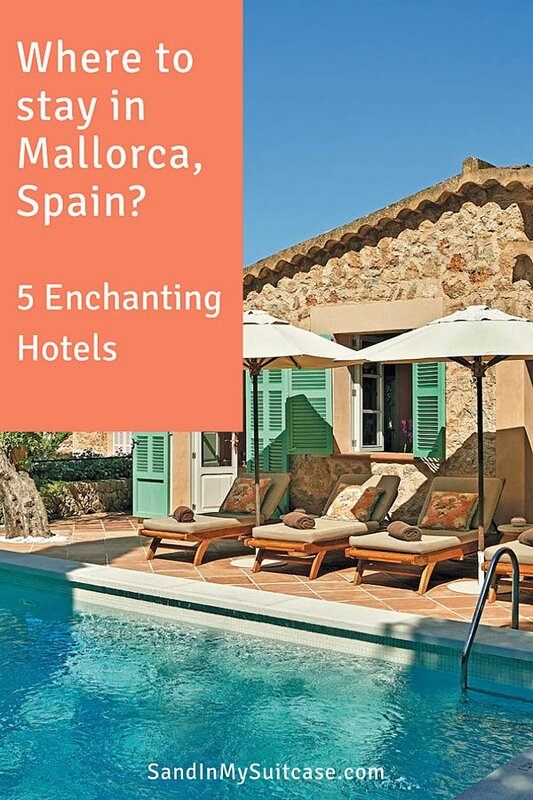 So when deciding where to stay in Mallorca, consider choosing not just one hotel, but several. You’ll find many enchanting lodgings – from grand castles to farm fincas (converted farm estates). Here, then, are our picks for 5 of the best hotels in Mallorca. 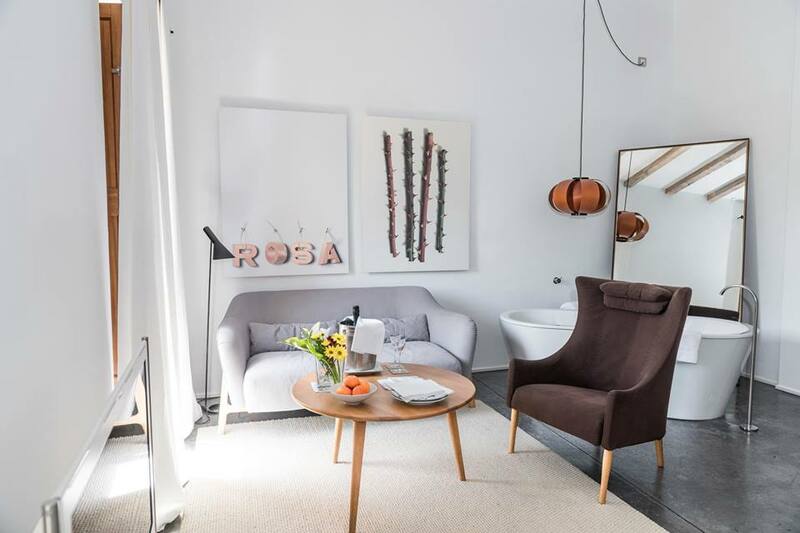 This minimalist boutique hotel in Palma de Mallorca is ideally located right in Palma’s old town. 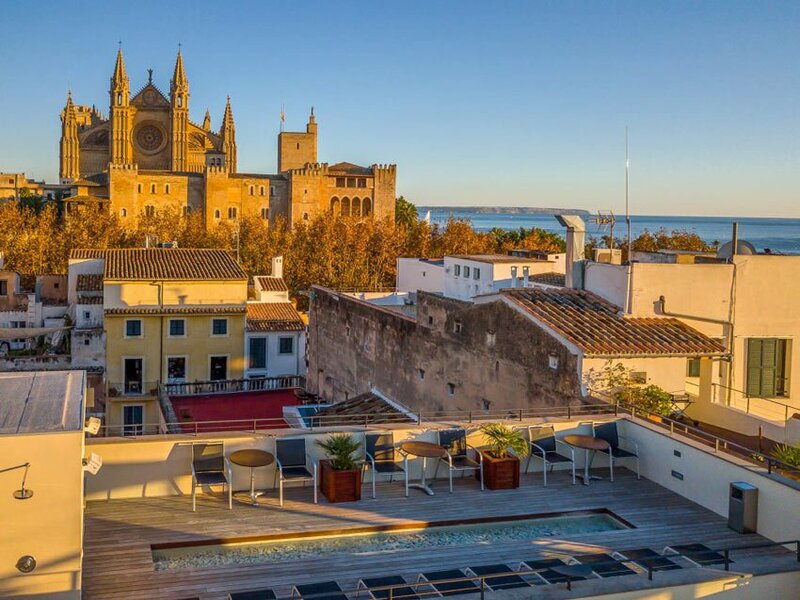 From here, you can easily walk to Palma’s landmark Gothic cathedral and the Royal Palace of Almudaina Palace. The 41 moderately-priced rooms are split between two buildings, one a 16th century palazzo (which we prefer) and the other a modern block. In the middle is a stone courtyard sprouting a towering palm tree, under which 30’s-something guests linger, checking out emails on their laptops. 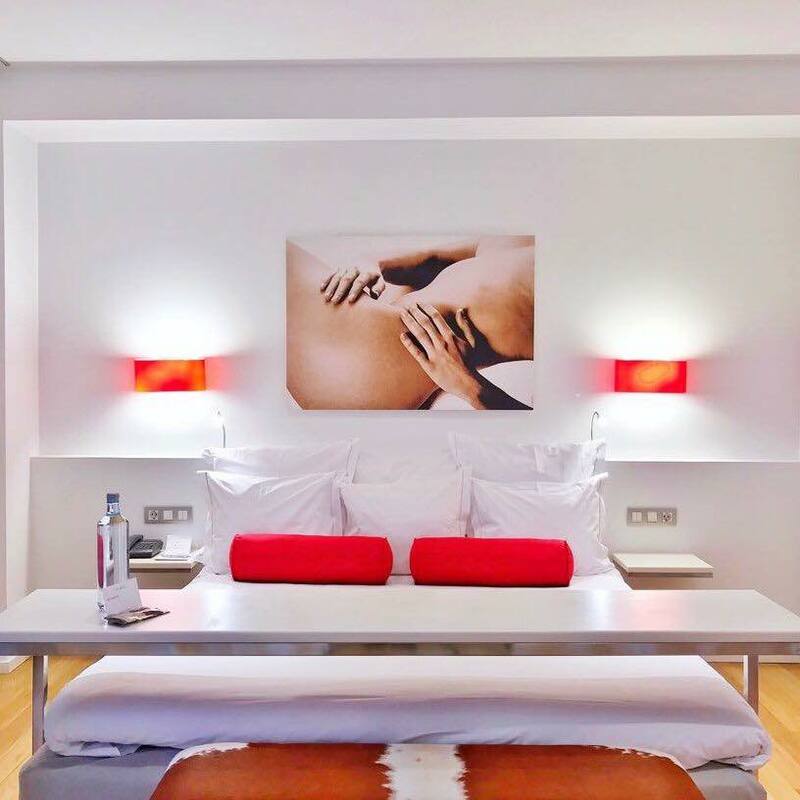 Guestrooms are snug, but the open bedroom/bathroom design helps make them feel bigger, and the Hotel Tres signature table that rolls over the bed is a clever space-saver. White floors, wood floors and lots of glass lend a clean, spare look. Several rooms have king-size beds – hard to find in Mallorca. 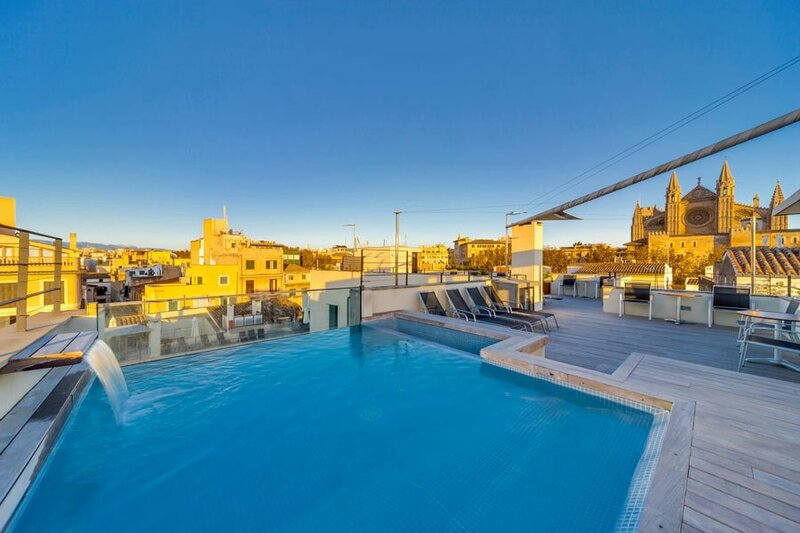 The rooftop terrace boasts a small splash pool; sunset is the time to soak up the views over Palma’s rooftops. Bonus: WiFi is free, rates include a plentiful breakfast and complimentary iPads are available to use. 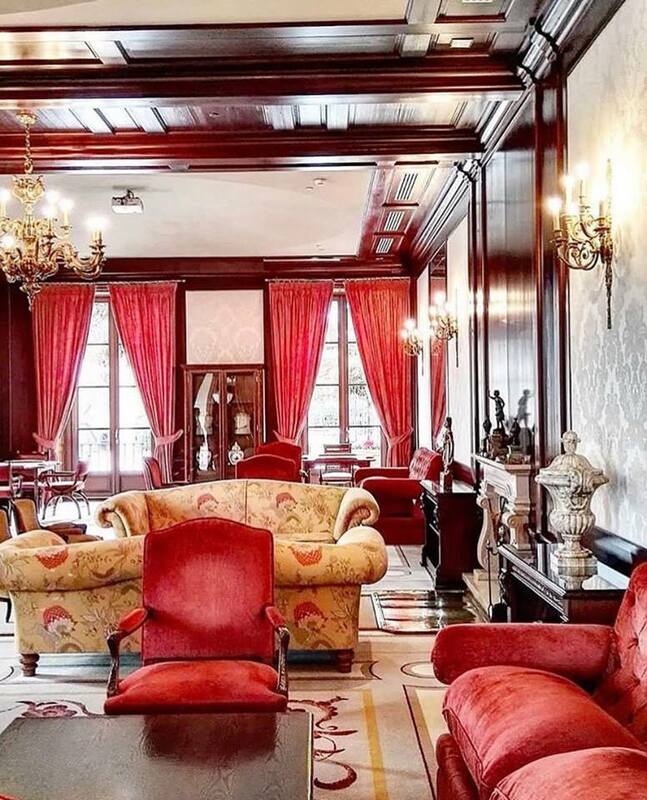 Why stay at Petit Palace Hotel Tres? It’s one of the best hotels in Palma de Mallorca in terms of location. You’re right in the heart of the capital’s lively old town! 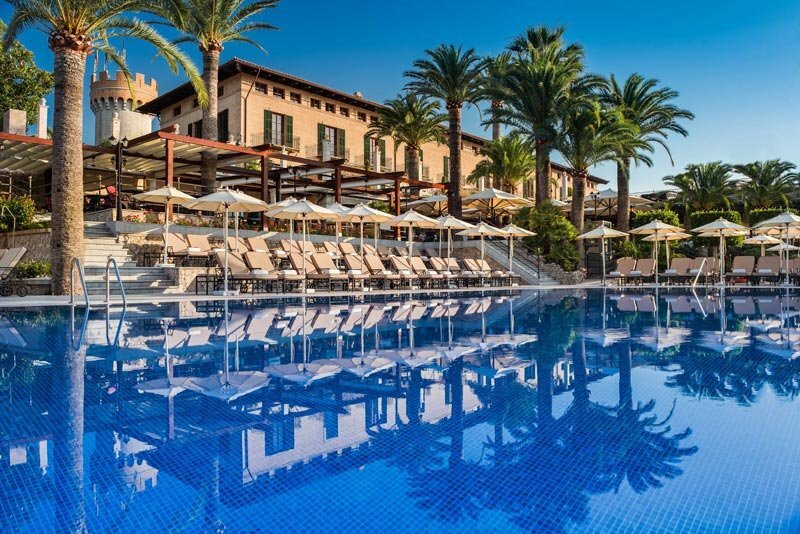 When it comes to 5 star hotels in Majorca, none can beat the celebrity guest list of Castillo Hotel Son Vida. Everyone from Michael Douglas, super-model Claudia Schiffer, rock musician Sting and the Spanish royal family have bedded down here. 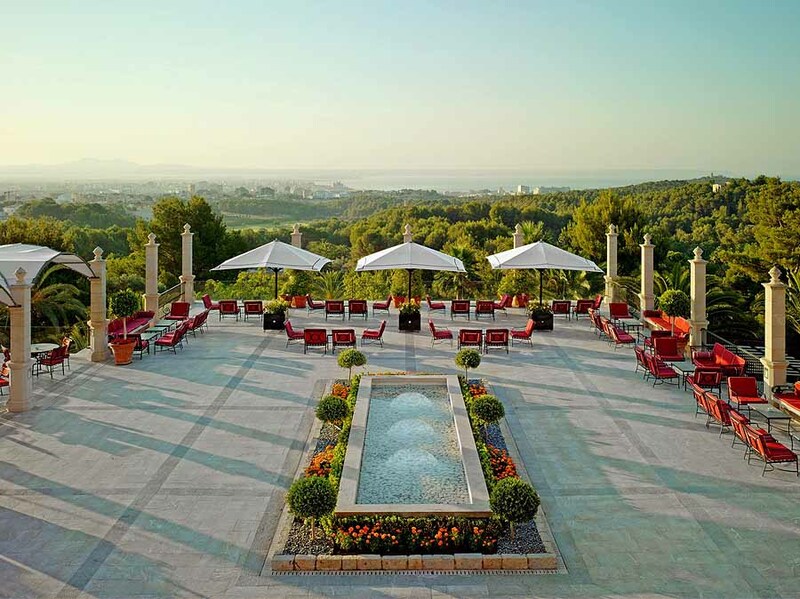 A peaceful retreat surrounded by cypresses and pines – yet only 15 minutes by car, bus or taxi from the maze of Palma de Mallorca’s shopping streets – Castillo Hotel Son Vida perches high above the bay of Palma. Part of Marriott’s Luxury Collection, the 13th century castle hotel (complete with a knight statue in full shining armor in the lobby) has 164 rooms and suites. Interiors include gilt-framed mirrors, Juliet balconies overlooking the twinkling lights of the city, and fresh-cut long-stem roses on antique dressers. By day, take a dip in the grand outside pool set amid palms and pine trees, or tee off on three nearby championship golf courses. This pool is so seductive, it was hard to rouse ourselves to go out and explore! At night, dine on the outdoor stone terrace, lit by crystal oil lamps. A new spa features a state-of-the-art gym and light-filled treatment rooms with underfloor heating. Why stay at Castillo Hotel Son Vida? 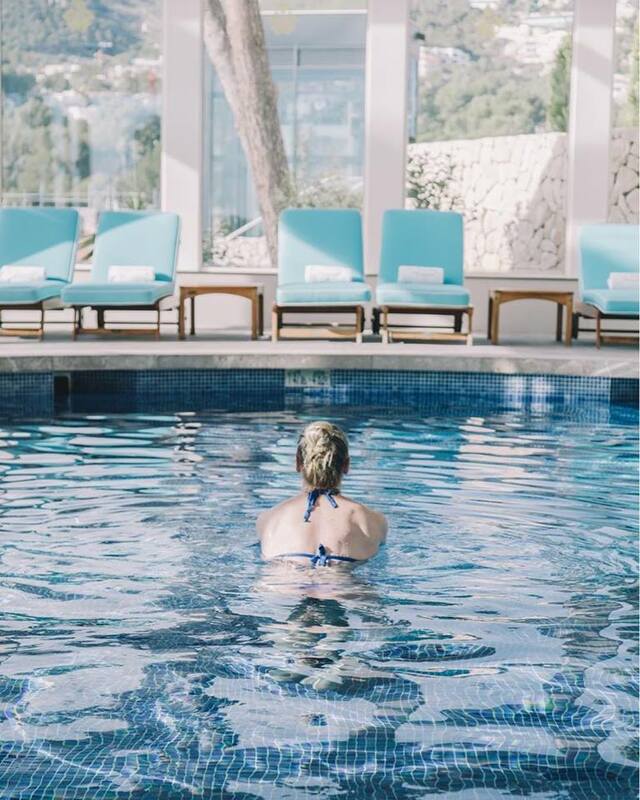 The outdoor pool is so elegant, you could happily spend all day relaxing by it in a plush lounger, sipping cocktails and wondering when you’re every going to explore Palma! This is one of those luxury hotels in Mallorca you don’t really want to leave. Fincas in Mallorca are a special type of accommodation. 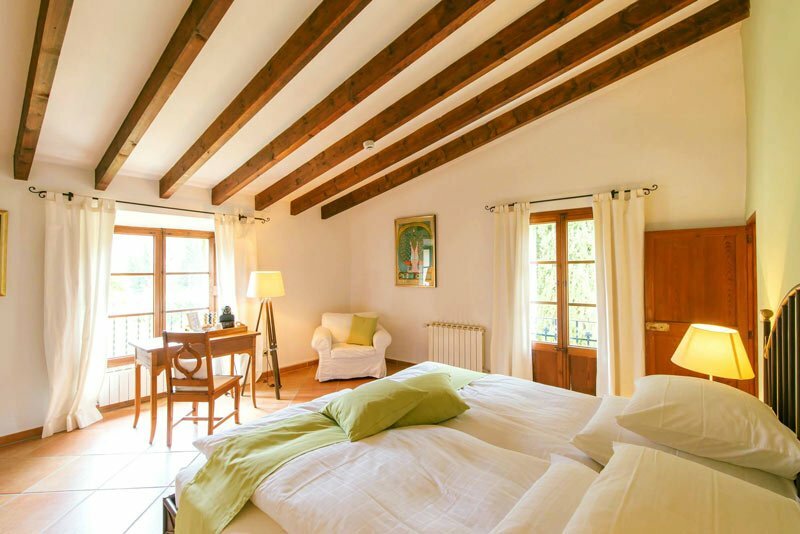 They are traditional Spanish farmhouses that have been converted into boutique inns and B&Bs. 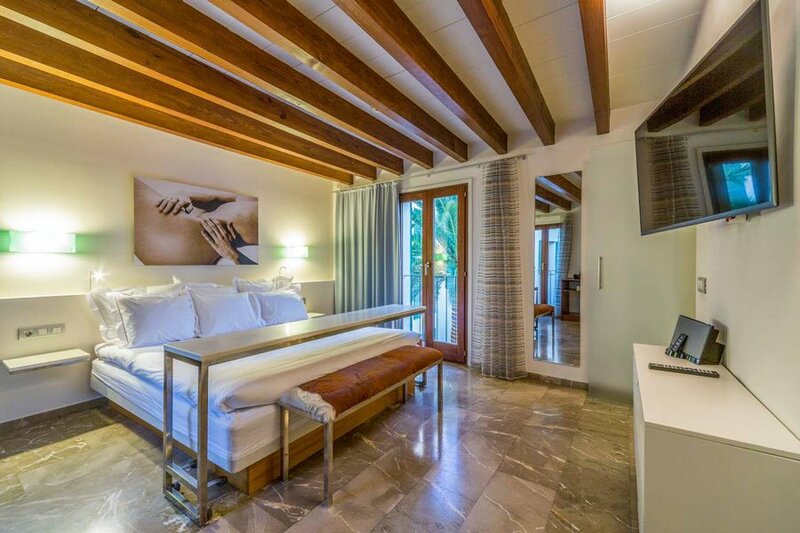 Some fincas are pleasantly modest; others are top-notch with guest casitas, swimming pools and 300-thread-count linens. FincaHotel Can Coll, where we stayed, is one of the best Mallorca fincas. A restored, butter-yellow manor house, it has 10 individually decorated rooms. Spoil yourself with a suite; the Oliva suite has a huge outdoor terrace overlooking the mountains and terracotta tile roofs of Soller. There’s also a tranquil pool in the garden for enjoying sunny lazy afternoons. 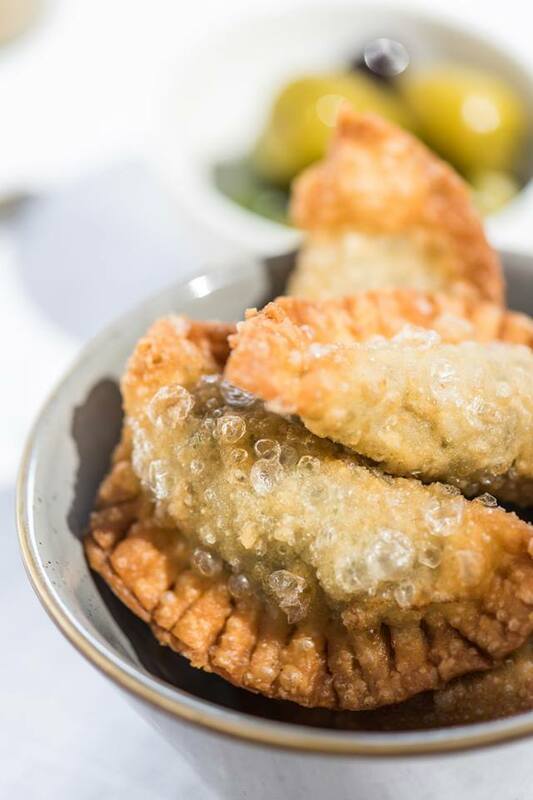 A talented chef whips up modern Mediterranean dinners, served outside by six-foot high candelabras or inside the bodega (wine room). 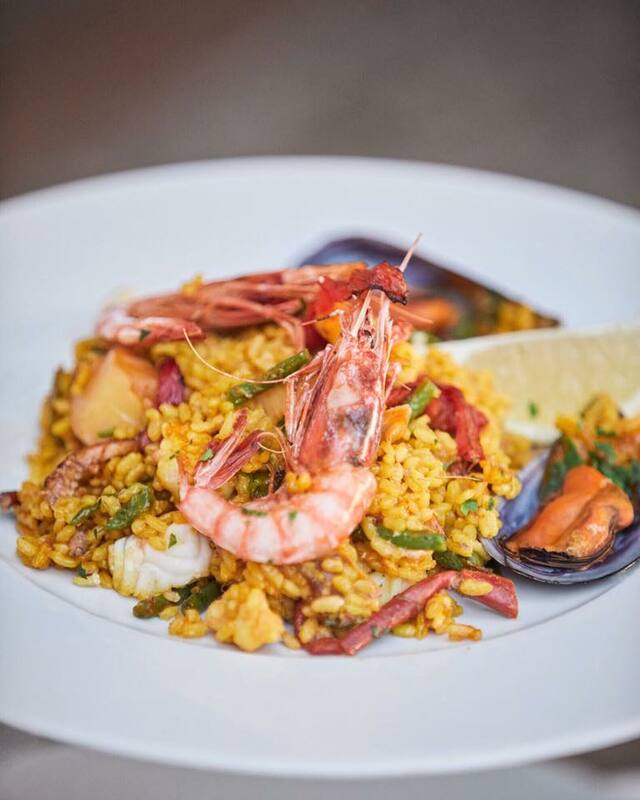 Once or twice a week, you might be treated to Spanish paella, a tapas trilogy or a barbecue. In the morning, delicious breakfasts of homemade blackberry yogurt, egg dishes and date-and-nut bread are taken in the shady garden. 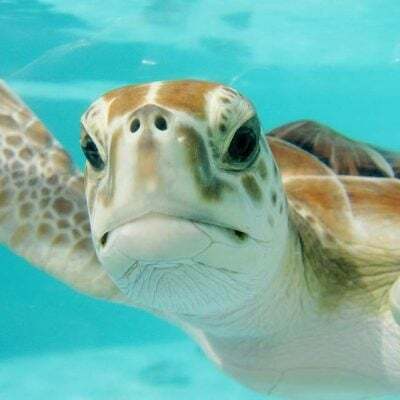 Why stay at FincaHotel Can Coll? 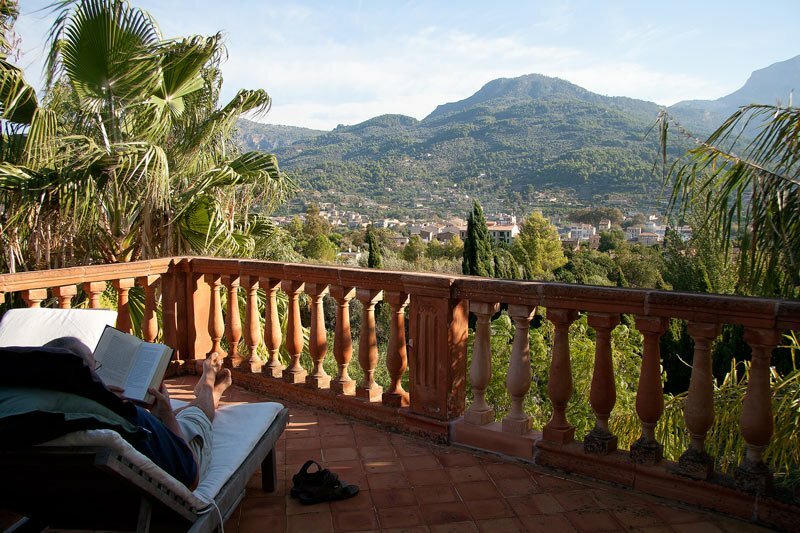 It’s close to several forest hiking trails and just a 15-minute walk to the village of Soller with its cute restaurants. Plus, it’s so charming! 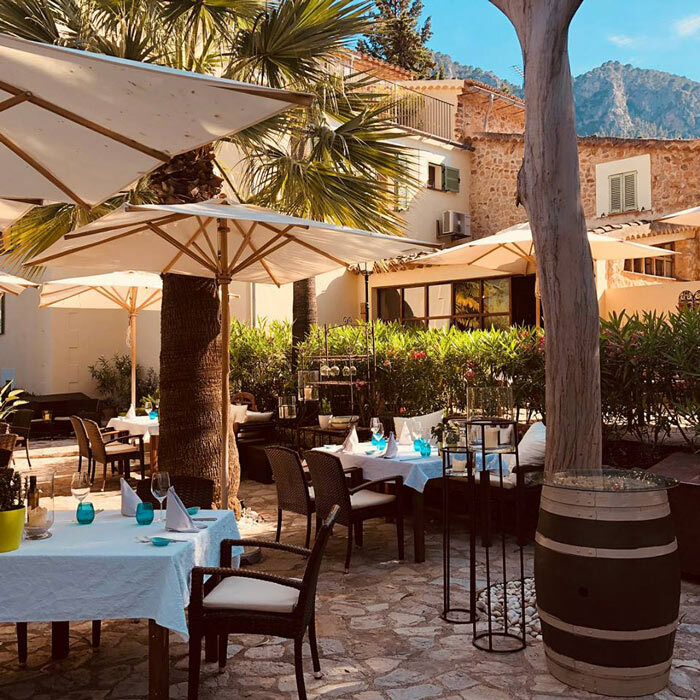 Renowned among the 5 star luxury hotels in Majorca, Belmond La Residencia is gloriously nestled in 30 acres of olive and citrus groves within the town of Deia. Home to artists and poets (Robert Graves lived here for the last 50 years of his life), Deia is so perpendicular as it clings to the mountainside, with so little flat land, that villagers are buried standing up. 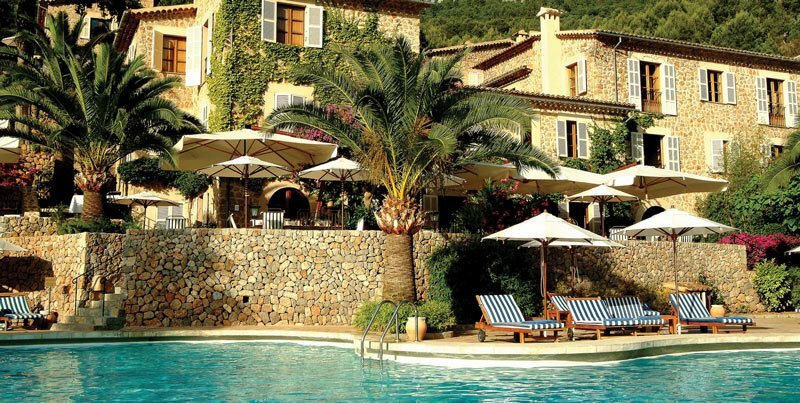 Designed to complement the surrounding village, Belmond La Residencia has 76 rooms, clustered within four stone buildings; two are ivy-clad manor houses, dating back to the 16th and 17th centuries, set around a large inviting pool. Persian carpets add warmth to red stone floors, and original oil paintings adorn the walls. Lovely touches: Fresh-cut flowers are delivered to your room after check-in, and turndown chocolates come in mesh jewellery bags. But for all its splendor, La Residencia isn’t stuffy – a yellow rubber duck greeted us in the bathtub. 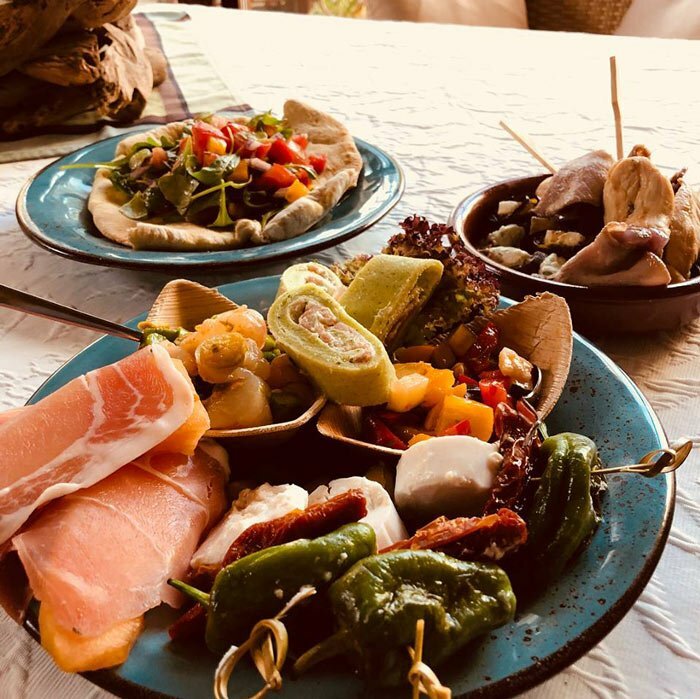 Don’t miss dining in its brilliant El Olivo restaurant. Cool activities? 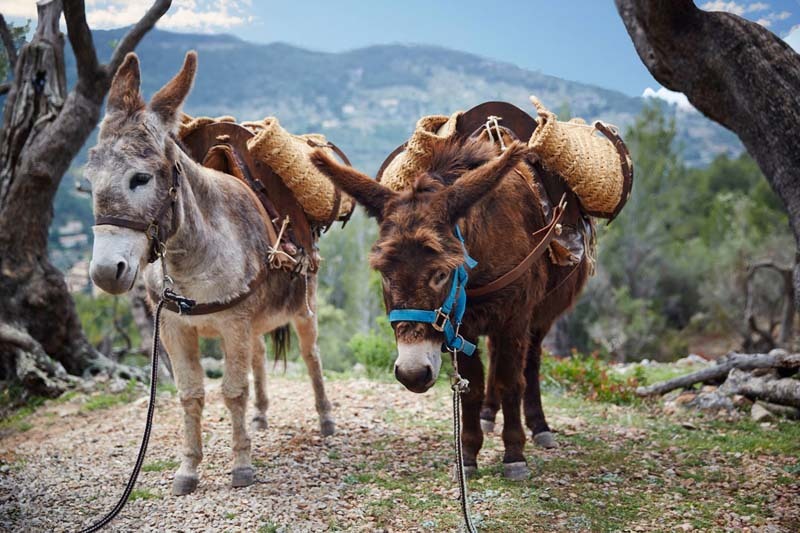 Walking with donkeys to a mountain refuge for a Mallorcan picnic in a stone shepherd’s hut and swimming at the hidden beach cove of Calle Deia. 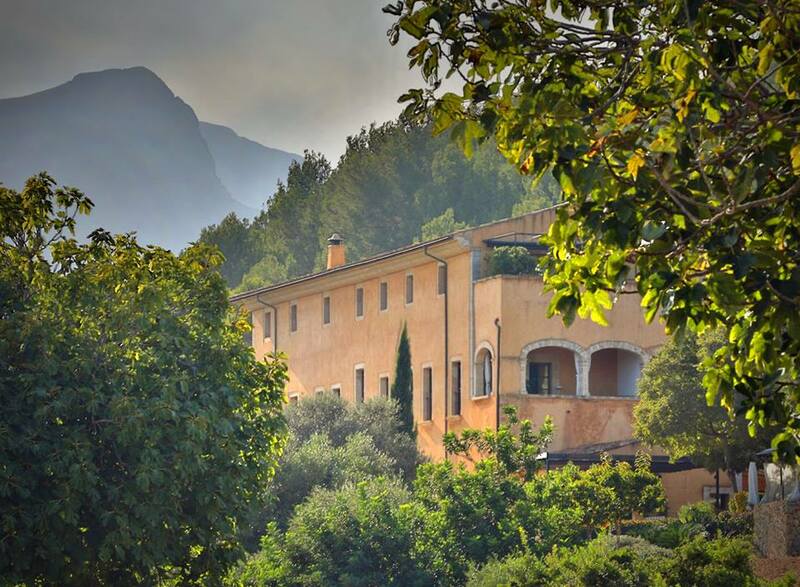 Why stay at the Belmond La Residencia? It’s romantic, gracious without being pompous, and one of our all-time favorite hotels in the world. We confess. We haven’t stayed here, yet. 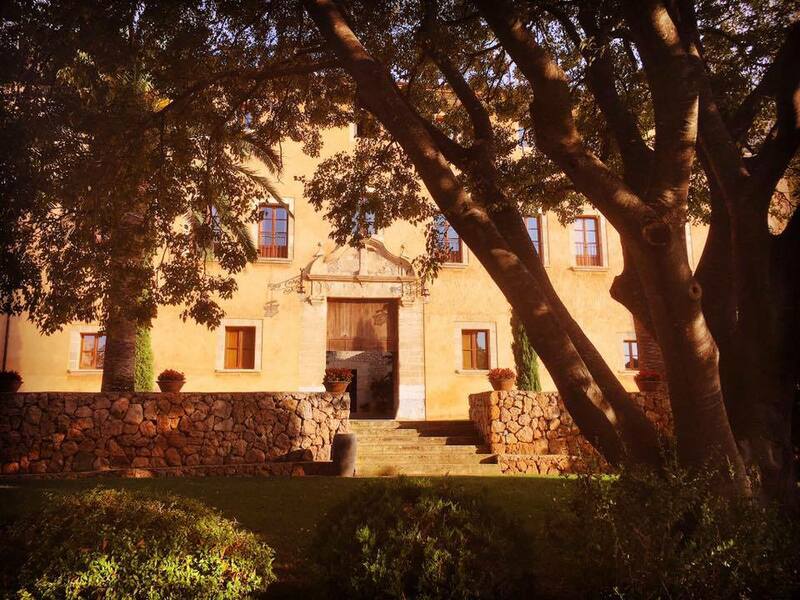 But this is one of the boutique hotels in Mallorca we’d like to check out next time! 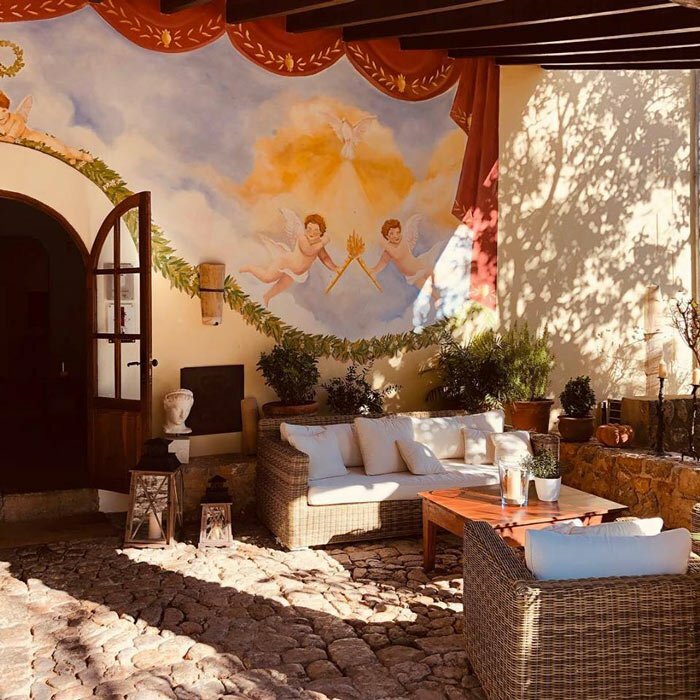 Tucked away in the foothills of the mountains near Pollenca, Hotel Son Brull is housed in a former 12th century Jesuit monastery. 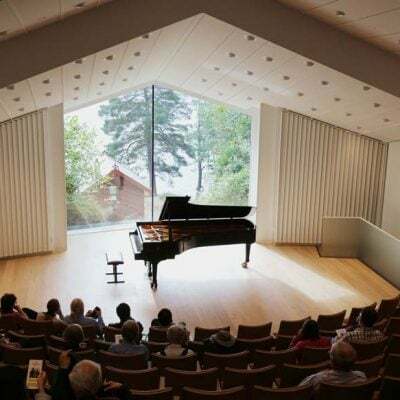 The 25 rooms are very modern and minimalist though, with concrete flooring, slick bathrooms with separate tub and shower, and Bang & Olufsen sound systems. Comforts come in the form of king-size beds and pillow menus. Keen to splurge? Two 2-bedroom villas have their own private pools. Its restaurant is celebrated (guests rave over the crispy-skin roast suckling pig with purple carrot and the nougat-and- hot-chocolate dessert). Jams are home-made, and the hotel produces its own gin and wine. There’s also a spa with hammam, yoga studio and heated outdoor pool. 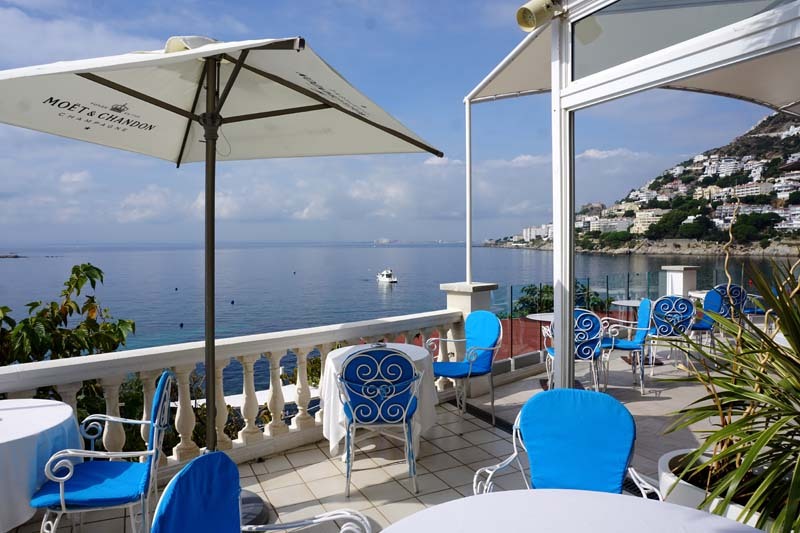 Why stay at Hotel Son Brull? 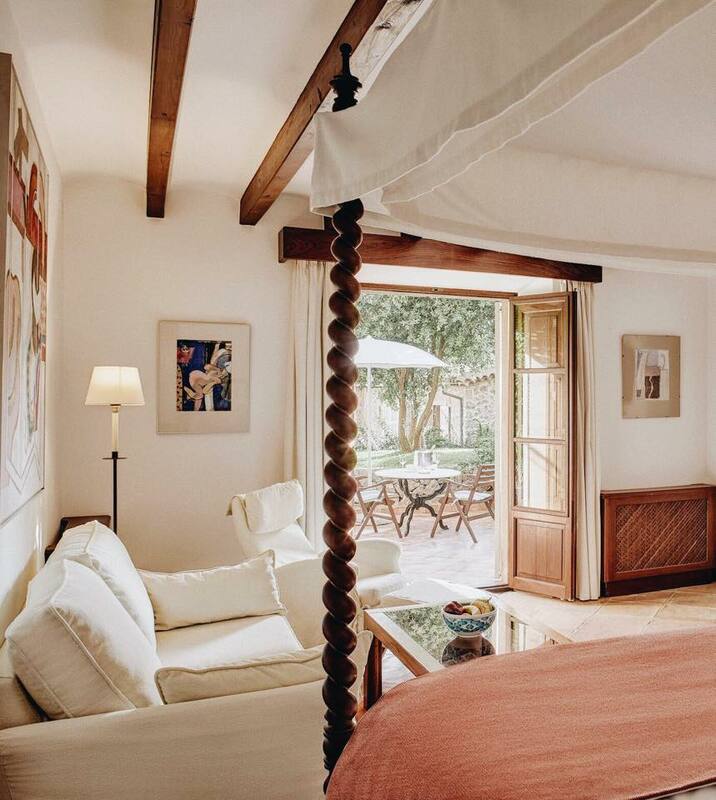 It’s a small 5 star hotel in Mallorca that ticks off all the boxes for a stylish rural getaway. 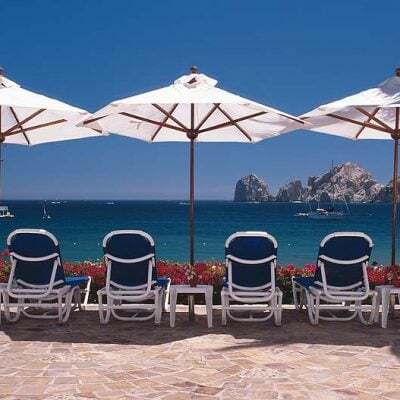 If you make a hotel booking on Booking.com through our site, we’ll earn a small commission – at no cost to you! Thank you :-). That rooftop pool looks amazing. 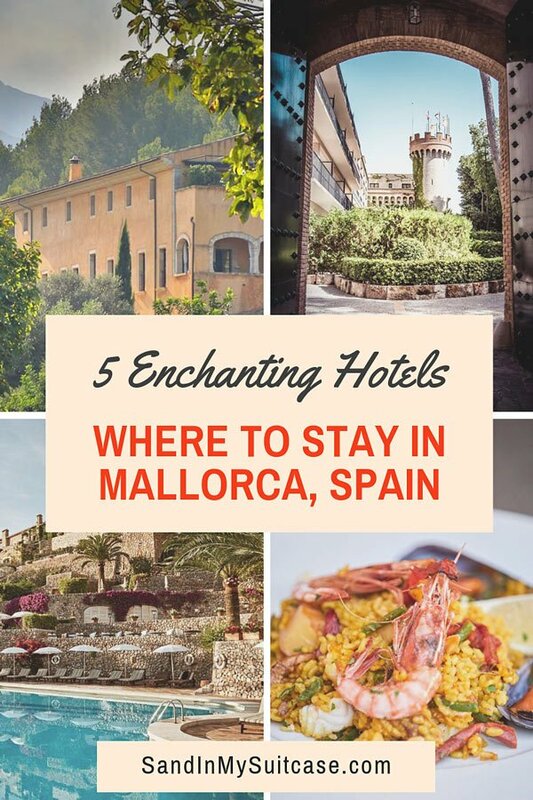 They all seem like a great place to enjoy what Mallorca has to offer. I’d have a hard time deciding where to stay. I always love the feel of Finca type places – and the location of the one depicted looks amazing. One cold winter I’ll leave Calgary and head for Mallorca. BEautiful shots and tour, thank you guys! I’ve never visited but obviously this screams luxury. Oh, you’d love Mallorca. You’ll have to try and visit some day! We flew direct from Germany, and the flight was quite inexpensive.